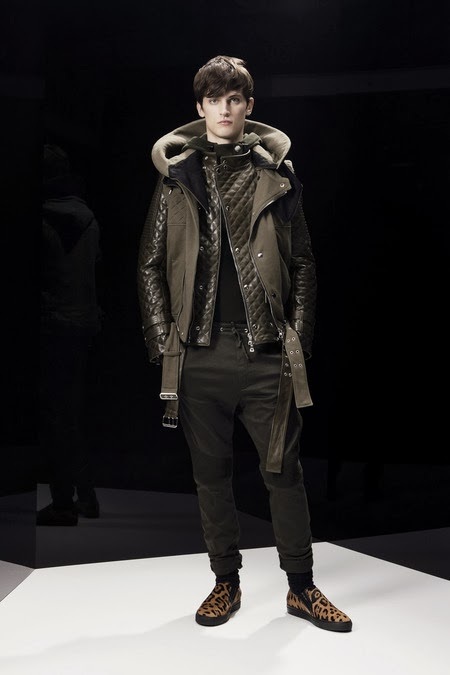 As you may or may not know, today is the close to a brillant Fashion week for Mens F/W 2014. They started off in London on the 6th and ventured through Milan and ended it in Paris. After seeing all the collections I must say I am completely jealous and may start dressing like a boy. Ok, I'm completely kidding but it looks like this year women might start taking our style tips from the Mens show. My all time favorite house is Balmain and of course Olivier Rousteing killed it. 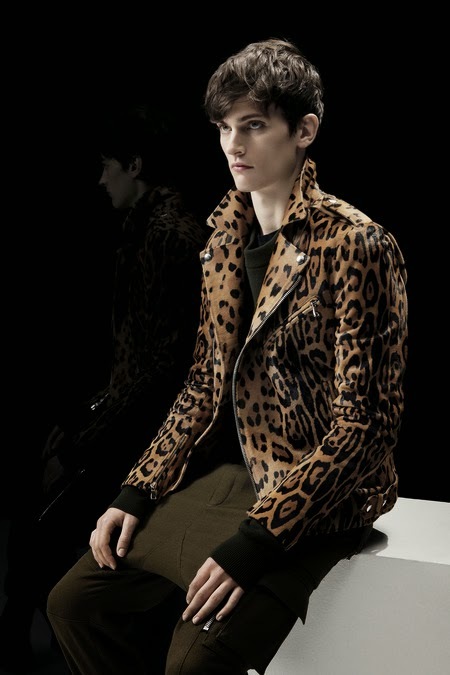 The collection came in tones of green, khaki, and camel, and mixing in exotic animal prints. 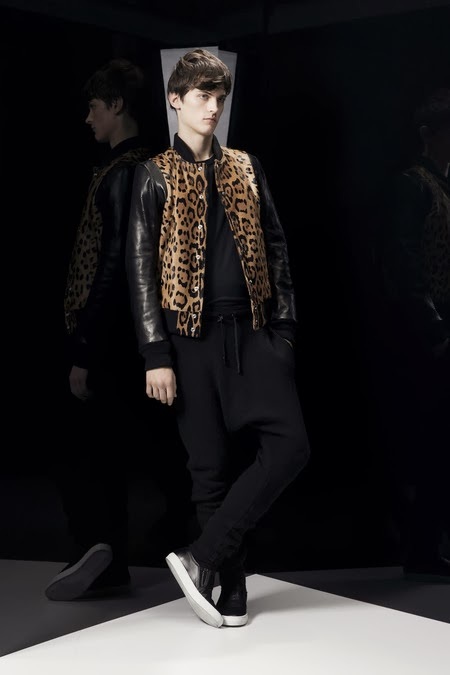 The leather jackets were to die for paired with leopard ponyskin slip-on sneakers. He is becoming more our generation and I know his customers will appreciate his new universe. Here are some of my favorites from his collection. For those of you who missed any shows go to Style.